Choosing the best books of the year is always a difficult task, but this year was especially difficult. Not only were there some really incredible titles published this year, I also read more than 100 books in 2018, by far the most books I have ever read in a single year. 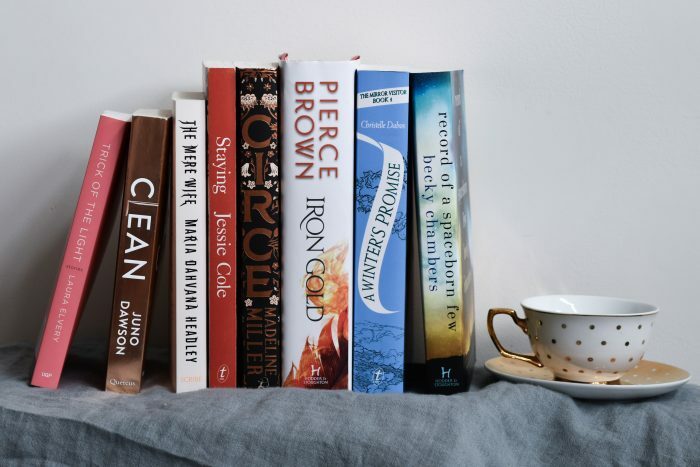 So without further ado, here is your definitive guide to the best books published in 2018, according to me. As a modern feminist retelling of Beowulf, with incredibly vivid imagery and intense emotional expressions. Destined to be a classic. A debut collection from an Australian author, bending genre and bringing to life incredibly unique characters and settings, with each story wholly contained and captivating. A powerfully told memoir of grief, loss and life, focused on Cole’s childhood in Queensland and the ramifications through her life and the whole family before and after her father’s suicide. This retelling of The Odyssey (and other Greek myths) from the perspective of Circe was a triumph, and though technically published in late December 2017 I am going to sneak it into this list. The very best kind of diverse, Feminist Romance, featuring an autistic protagonist and a mixed race love interest. Plus it’s a debut own voices novel. I simply could not choose between these two additions to my favourite sci-fi series. The former begins a new trilogy, years after the events of Red Rising, filled with action, space battles and political intrigue. The latter is a more gentle story, though it opens with a mass tragedy, focusing on the lives of the humans who live on the fleet that left the dying planet Earth behind many generations ago. A brilliant Young Adult read set mostly in a rehab facility for troubled (and very wealthy) young people dealing with a wide variety of addictions. Translated from French, this delightful and intriguing YA fantasy novel is the first in a series that explores a world where cities float in the sky and each city has its own magic system. Note: A brief version of this post first appeared on the Melbourne Writers Festival staff blog, which you can read here, along with other picks from the MWF team.